If you skip the profile description on Instagram account @shudu.gram, you might just think that the supermodel featured on the page was real. This, however, is certainly not the case. “World’s First Digital Supermodel,” writes creator Cameron-James Wilson inside the Instagram account’s profile description. Say hello to ‘Shudu’, a three-dimensional being born from the imagination of this 28-year-old self-taught British photographer, who has one decade of fashion industry experience tucked under his belt. 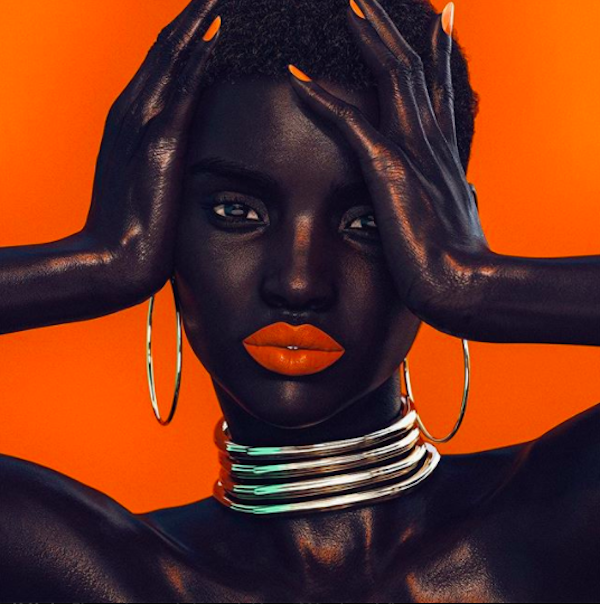 Armed with YouTube and other online resources, Wilson learnt 3-D on his own to build the “flawless” model who is now Instagram famous, thanks to a Rihanna’s Fenty Beauty line, which reposted the image above of ‘Shudu’ to its official Instagram page. Even though Wilson sees ‘Shudu’ as an artwork and a way of expressing his creativity, the realistic-looking character has garnered mixed responses from the public ever since rising to stardom. While some have expressed their appreciation for Wilson’s digital art and skill, others have accused him of racism and profiting off black women as a white man. Others on the platform highlighted the concern over the growing interest in featuring, as well as the glamorization of, black women in fashion and beauty because they are seen as a “trend.” Critiques also questioned why Wilson didn’t just hire a real black model who could earn some income from the photo shoots. In a recent interview with entertainment journalist Isiuwa Igodan, Wilson shared that ‘Shudu’ wasn’t created with any distinct purpose, but simply because he felt like producing the art. When asked about the negative reception to ‘Shudu’, Wilson expressed his appreciation for interviews that allowed him to share his perspective on the matter. “The point is really that I’m doing something I love. I love technology, Sci-fi films, gaming, CGI movies like Final Fantasy, ‘Shudu’ is just everything I’m passionate about brought together. She embodies the best parts of the things that inspire me,” Wilson told Igodan. Wilson admits that the purpose behind ‘Shudu’ has somewhat evolved ever since she rose to prominence. He believes that ‘Shudu’ can be an empowering role model to others, and further champion diversity. The 3-D model, though wholly fictitious, is already crossing over to reality. She posed with real-life model Nfon Obong inside the photo below, which was captured by Wilson. Read the photographer’s full interview with Igodan, where he sheds more light on his perspective, here. In related news, meet the popular 19-year-old social media influencer who’s actually a virtual avatar.